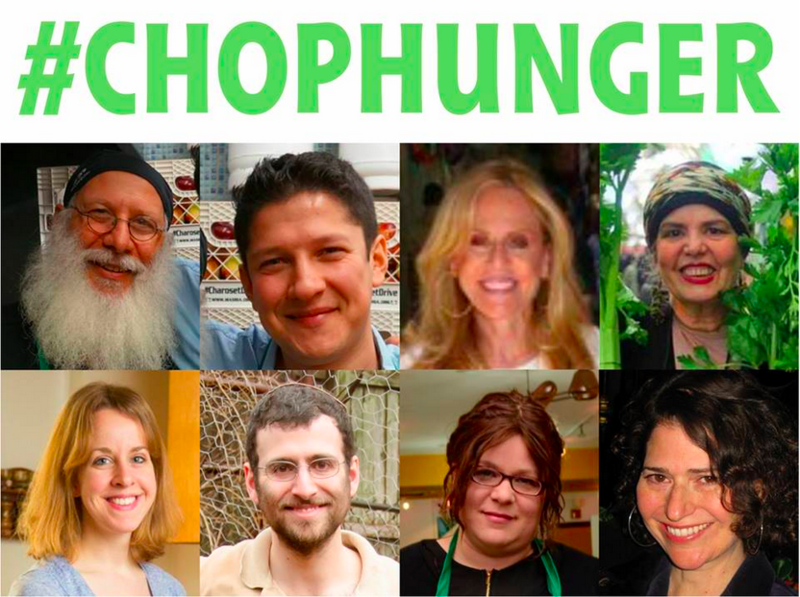 Forward: Hunger, You've Been Chopped! I never get tired of the Food Network show Chopped, which I tend to binge watch when I’m tired or stressed. My younger son, Teddy, is also a fan, and he and I can sit through multiple episodes after a long day, happily critiquing the performances of the contestants as they cook their way through their mystery basket ingredients. Teddy, who is a loyal fan of his mother’s cooking, sometimes remarks that I should compete on the show. But as well honed as my kitchen skills might be, they are home-cook skills, recipe developer skills, food editor skills — not those of a restaurant chef. And honestly, it may be stress-reducing to watch the show, but being a contestant would probably give me a nervous breakdown. Being a judge, on the other hand, does hold some appeal — sitting there watching the action; then tasting and evaluating the results… that’s something I could get into. So last night, that’s what I did. Well, it wasn’t the Food Network’s Chopped — it was an event called Chop-Hunger, held in the Lincoln Square Synagogue as a fundraiser to benefit the Masbia Soup Kitchen Network, a 10-year-old organization that feeds New York’s hungry out of three locations in Brooklyn and Queens, each decorated and arranged to look and feel like a restaurant — a way of offering a dignified dining experience. At Masbia, chef Ruben Diaz determines the day’s menu each morning after he sees what food has been donated by organizations such as City Harvest. He and his staff regularly make delicious, nutritious kosher meals from humble ingredients — the organization delivers one and a half million meals a year, according to the organization’s founder, Alexander Rapaport. The three competitors, left to right: Levana Kirschenbaum, Leah Koenig and Poopa Dweck. Each cook would create a meal — just one plate — using the same humble ingredients — in this case frozen tilapia, rice and apples. There was a very limited pantry with items the cooks could share, which happily included a gorgeous assortment of fresh summer vegetables — cherry tomatoes, rainbow carrots and baby squash — that had been a last-minute donation that very day. And then a mystery ingredient was introduced. Can you guess? Yup, rutabaga. The instruction to the three contestants was that it had to be featured prominently in the dish. The chefs manned cooking stations each set up with a tiny electric oven, a couple of burners, a few pots and pans (and very few lids) and a smattering of other essentials. They had 30 minutes. I sat at the judges’ table — enjoying my vantage point on a high stool just above the action — with fellow judges Shifra Klein, editor-in-chief of Joy of Kosher magazine, and Naftali Hanau, CEO of Grow and Behold, which produces OU Glatt Kosher pastured meats raised on small family-run farms. 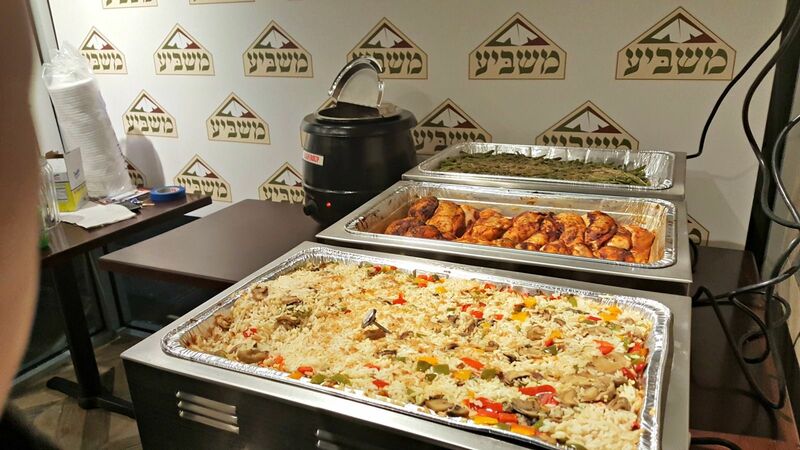 The event was produced by The Center for Kosher Culinary Arts. Royal Wines supplied the wine. Chef Avi Levy, host of Avi’s Kosher Kitchen, did a great job playing Ted Allen’s part as the evening’s gregarious and charismatic host. I hadn’t realized that Allen already knew Alex Rappaport (though I probably should have, since Allen’s cookbook “In My Kitchen” was being offered as a raffle item at the benefit). Back at Chop-Hunger, it was amazing to watch the three incredible cooks go at it — Koenig brought her Ashkenazi sensibility to her food, whipping up a delicious apple and rutabaga mash to go with lovely rice tossed with baby vegetables. She coaxed the most flavor out of her frozen fish, I thought, coating it in a bright sweet and sour sauce of citrus juice, soy, sautéed onions and I don’t remember what else. But I can say one thing: She didn’t take much out of the pantry (if anything) and because she stuck so rigorously to the main ingredients while creating a delicious plate — an extraordinary accomplishment — she won the prize for frugality. Moroccan-born Kirschenbaum’s dish was a riot of gorgeous color: glistening sautéed vegetables — cherry tomatoes, rutabaga and summer squash — stood out next to a great “risotto” and fish spiced with cinnamon. There was also a dramatic-looking side of tomato and black olives. Kirschenbaum won the prize for presentation. 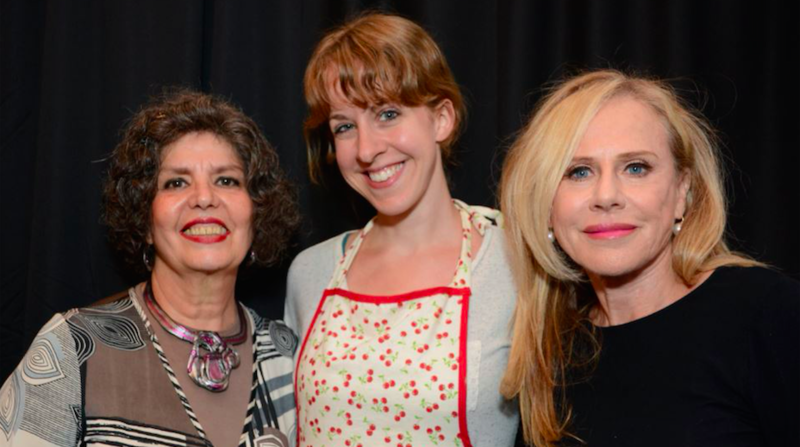 Dweck won the creativity prize, making a fine rutabaga-cabbage kimchi — talk about the diaspora! The centerpiece of her dish was a sublime fish and rice mixture tossed with a few chickpeas from the pantry, delicately seasoned with paprika and cinnamon and sprinkled with toasted sesame seeds. She sautéed apples, rutabaga and baby carrots, whose delicate colors glimmered on the plate. The prize for taste, arguably the most important of the night, was give to — drumroll, please — all three contestants! Okay, you could argue that we judges failed in our task, but honestly, you weren’t up there tasting these dishes, they were all incredible. As is Masbia. As Poopa Dweck said last night: In the end, it wasn’t a competition; it was a celebration.